Later this month, Father Bruce Lewandowski will begin his new assignment as the first vicar for cultural ministries in the Archdiocese of Philadelphia. The outgoing pastor of Visitation of the Blessed Virgin Mary Parish in the Kensington section of the city has ministered to various immigrant communities, especially Hispanic Catholics, for the majority of his priesthood. 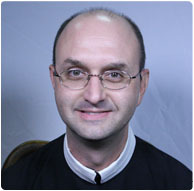 Please pray for Father Lewandowski and his fellow Redemptorists who will also begin new assignments this summer.